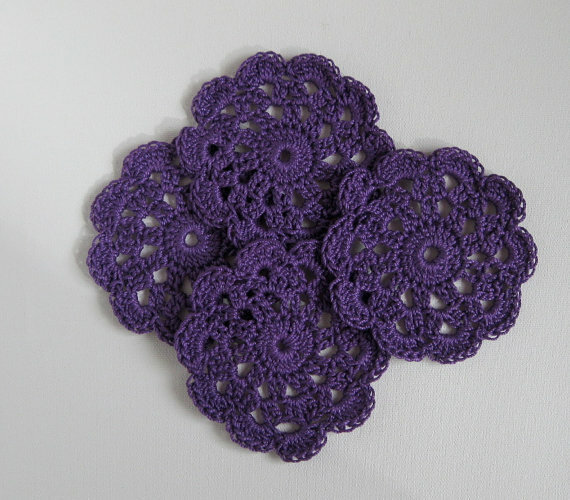 Doilies were the first (and only) projects I have done while learning crochet in Haiti. Looking back I am not sure doilies were a very efficient way to teach children. Most of my classmates found it extremely annoying and didn’t go beyond the foundation chain. Doilies now are everywhere. 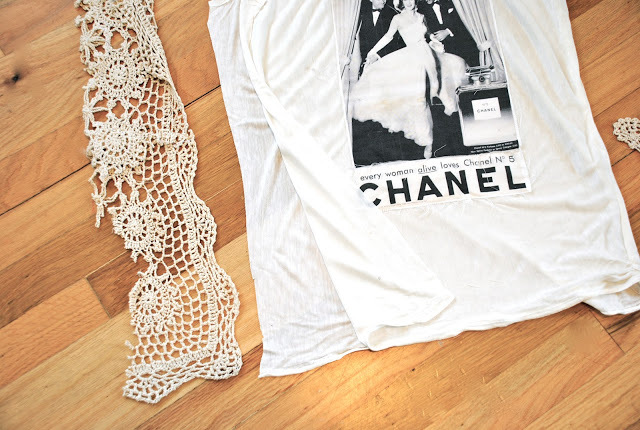 Old pieces are often recycled and made into new hip items such as this DIY Doily Light (below) and Doily-trim Chanel t-shirt tutorial from Trash to Couture. 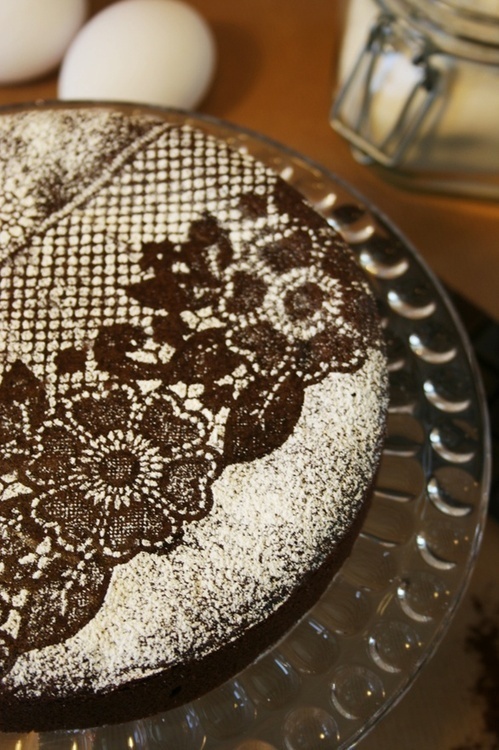 Doilies are here to Stay! 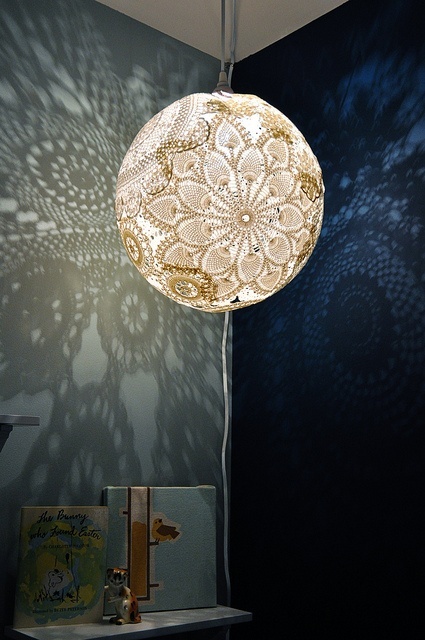 This DIY doily light is just so pretty and seems very easy to make. It could potentially be used as “disco” ball for a house party. Wishing you all a good weekend. Stay warm and stress-free. That light is amazing. I need one STAT! Thanks for all the good ideas- I love the designs in doilies, couldn’t stand to have them scattered over the furniture though…. There are a couple of knitted ones by Herbert Niebling I’m trying to find time for, but I’ll probably turn them into shawlettes. I love sticking doilies on things! 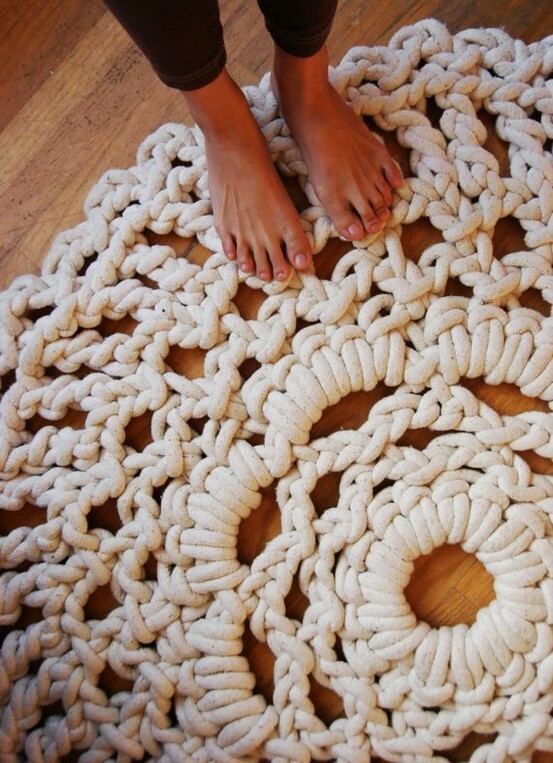 A friend of mine actually did some cute DIY doily decorations you can see here http://teenluka.blogspot.com/2012/11/crochet-dreamcatchers.html check them out!